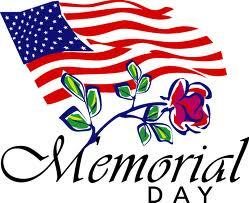 A reminder: The Delaware County District Library will be closed on Monday, May 27, 2013, in observance of Memorial Day. We will resume our normal hours on Tuesday, May 28th. 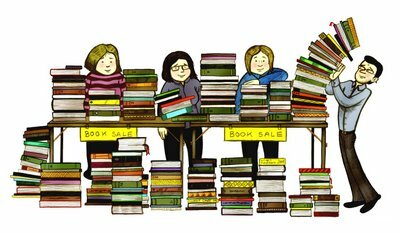 Bargain Book Fair Extravaganza This Weekend! The Friends of the Delaware County District Library will hold another gigantic Bargain Book Fair this coming Friday, Saturday and Sunday at the Delaware Main Library, 84 E. Winter St., and in conjunction with the Delaware Arts Festival. The Friends Book Fairs are truly a sight to see, with thousands of books, DVDs, videos, and magazines for adults, teens and children, well organized to make it easy to seek out just what you’re looking for. You are bound to find something for everyone in your family, and when you have that perfect pile of materials, you simply make a donation to the FOL. Funds raised by the Friends go back to buy more Library books and to support Library programs and events. The Friday evening event is from 6:00-8:00 p.m. and is for Friends members only, but you can join on the spot if you’d like to make your selections early. The Bargain Book Fair will be open to the public on Saturday from 9:00-5:00 and on Sunday from 12:00-3:00 p.m.
You can find out more about the Friends of the Library by visiting their web site at http://www.delawarelibraryfriends.org or by picking up one of their brochures at any Library location. Library staff are always happy to help you become a Friend, because, as you know, you can never have too many Friends! For years, Delaware County residents have asked to volunteer at the Delaware County District Library, and dozens of people have donated time to help with special projects or activities. We realized, however, that there was a need for an organized Library volunteer program, providing opportunities for folks who want to help the Library on an ongoing basis. Nearly a year in development, the Library’s Volunteer Program is now making its debut. Volunteer Supervisor Megan Cochran has created interesting and exciting opportunities for volunteers, such as Book EMT (repairing torn and damaged books, DVDs and audio books); Circulation Assistant (helping circulation staff at their busiest times); Eventurer (attending and assisting at Library events, parades and booths); Interior Decorator (helping to decorate the Library buildings for seasonal and special events); IT Project Assistant (working with the Library’s Information Technology staff to maintain computer equipment and software); Technology Coach (helping customers use hardware, software and other computer devices such as digital cameras, copiers, eReaders); Adopt-A-Shelf (care for “your” shelf in the Library by keeping items in order and in good repair); and Homework Helper (being available in the afternoons during the school year to help students of all ages write papers, do math, and so forth). With all of these opportunities, there is surely one that will suit you to a T.
You can find out more about the Library’s inaugural volunteer program by calling Megan at 740-362-3861 or by checking the Library’s web site at http://www.delawarelibrary.org . I invite you to learn, inspire and lead by becoming part of DCDL’s Volunteer Program. I know you will find it rewarding, exciting, and a wonderful way for you to share your talents and skills with others in our community.